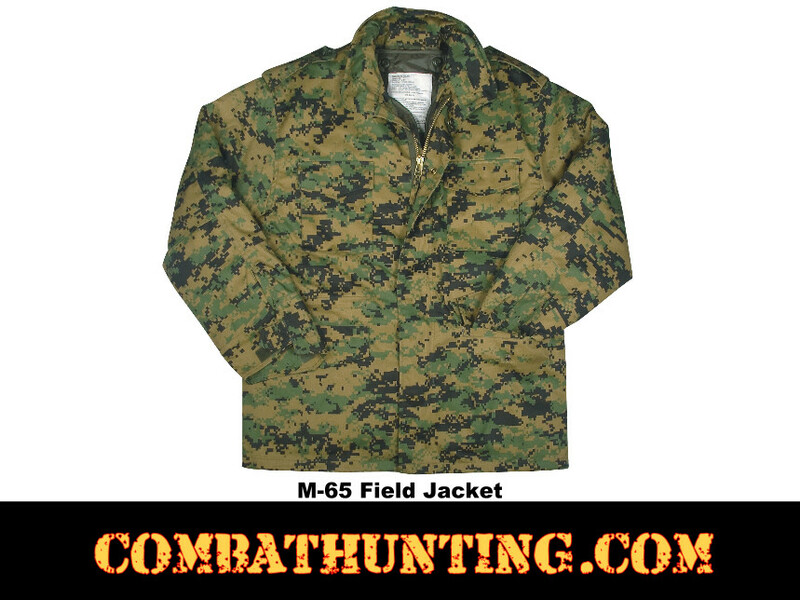 This is a great looking Woodland Digital Camo M-65 C Field Jacket. 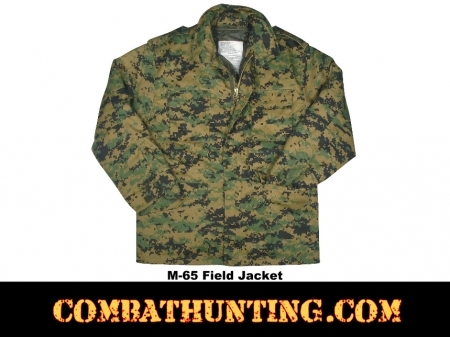 The M-65 Field Jacket is one of the most popular Field Jackets used by the U.S. Military. Rothco's water repellent poly/cotton M-65 Jacket features a removable button-in liner, a concealed hood, hook and loop cuffs (for attachment to gloves), four snap-up pockets, and storm flap. Rothco's M-65 Field Jacket is built to government specifications.